I would like to ask your professional opinion on three sport-utility vehicles: the Isuzu Alterra 4x2 AT, Mitsubishi Montero Sport 2.5 GLS 4x2 and the Ford Everest 2.5 Limited 4x2. My 18-year-old son, John Lenard, who by the way is an avid reader of your magazine and my beautiful wife, who is too kind to send me your monthly issues to my ship, choose the Alterra. I am planning to buy a new car when I take my vacation in January. Your advice will surely help a lot. I am looking forward to receiving your September issue when we arrive in Japan in the first week of October. I love your magazine, and you are right when you said "you can embrace it during bouts of homesickness." I hope the Seven Seas allow you to sail smoothly these days. Despite being a landlubber myself, I admire the drama of the high seas! Your stewardship of your, er, ship makes us FIlipinos proud of the work you do, which benefits our country! We at Top Gear salute you, sir! Now back to landlubber matters. Here's what I think of the SUVs you mentioned. Isuzu Alterra – This is a great SUV. It’s very roomy at the back and in the middle row. I think this is important for your wife and son who will ride with you, and for you if one of them is driving. You also get a huge cargo space with the Alterra. On the road, the Alterra rides really well and feels very stable at highway speeds, thanks to the long wheelbase. According to our off-road editor Beeboy Bargas, it also has excellent off-roading ability. Isuzu’s SUV also has an available satellite navigation system that really works! I’ve tried it myself extensively and I’m amazed by its accuracy. It’s also user-friendly even to non-techie guys like me. I’m sure a captain of a world-class ship like you would easily master the operation of this gadget. I always thought the Alterra was old and outdated, plus it gives a rather agricultural feeling. A recent drive proved me wrong. After all, Isuzu has been spending a lot of time refining and improving the ride comfort and driving dynamics of the Alterra. It may be an old SUV, but it’s still very good. 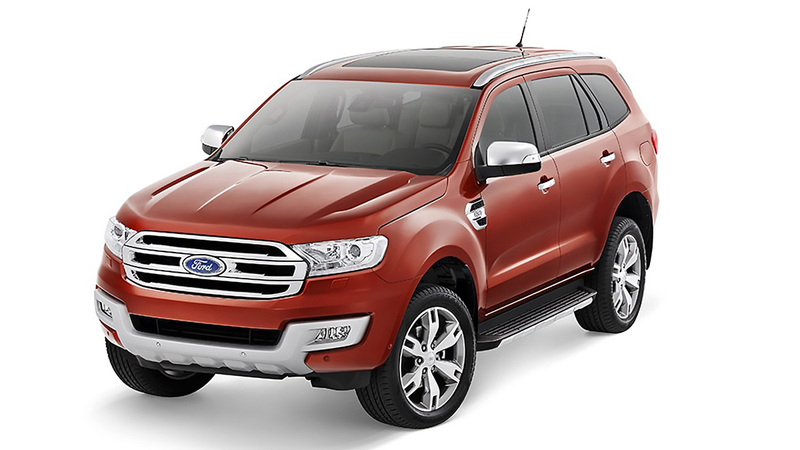 Ford Everest – Now, this looks new but when you step inside, the interior is really, really old and a bit disappointing. Ford seemed to have used up all its budget to revamp the Everest’s exterior significantly so it looks macho and modern but that it failed to modernize the interior. The legroom is tight for people with long legs and feet that are bigger than size 11. Headroom is low compared to that of other SUVs and the middle row is also quite tight. I’m surprised Ford Group Philippines president Randy Krieger, who stands something like 6’4, fits inside—and at the back seat at that. Nonetheless, the driving dynamics of the Ford Everest are still great. The engine and transmission are still powerful and impressive, and its off-road ability is at par with, if not better than, the Alterra. The Everest, however, lacks refinement--another quirk which Ford failed to improve so the engine is noisy and intrudes into the interior. Tire and wind noise are also relatively higher compared to other SUVs and the ride is really firm and harsh--firmer than a Toyota Fortuner. 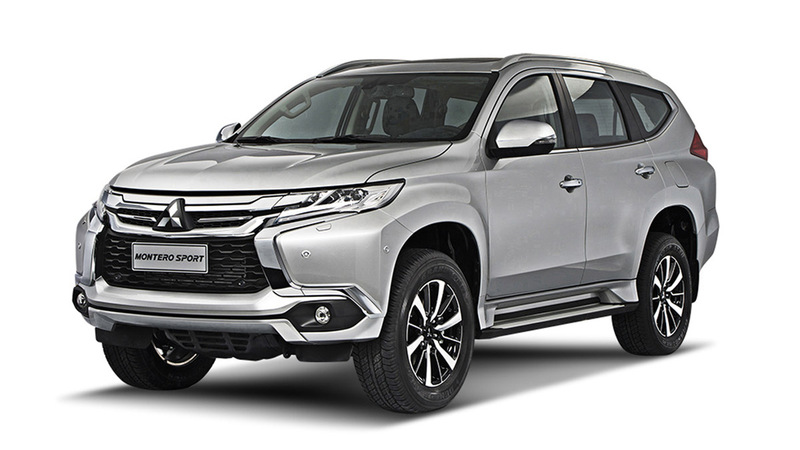 Mitsubishi Montero Sport - Did you know that the Montero Sport is the second-best selling vehicle in the Philippines? So many people have bought one because of the great specifications for the standard equipment and the widespread availability of units in Mitsubishi dealerships so there is no long waiting time. Most of all, there’s the excellent driving dynamics coupled with the renewed Mitsubishi reliability. The Montero Sport drives really well on the highway, and it loves to be hustled hard and fast. The downside of the Montero Sport is that it has poor off-roading ability when the trail gets really, really tough, slippery in uneven terrain and extreme angles. But I doubt you'll be doing anything of that sort unless you're off-road editor Beeboy's buddy. Lastly, you should check out the Hyundai Santa Fe R e-VGT. It is the best-riding, roomiest, most-refined, fastest and most powerful SUV in its class, eclipsing the Montero Sport, Everest, Fortuner and Alterra on the characteristics I mentioned. But it has even worse off-roading ability, thanks to independent front and rear suspension. It is supremely smooth on the highway, drives like a car. Despite the almost 200hp engine, you get amazing fuel economy--better than all the other SUVs I mentioned. I am impressed with the Santa Fe. So tell us landlubbers what you think, captain! Keep us posted. Take care, God bless you, your family and the crew in your ship!